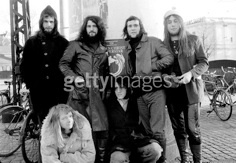 The real Gentle Giant / 3 friends version with Malcolm…wonderfull photo when Malcolm was there. Unfortunally the motocycle accident put him out of the band. The history put him back 36 years later on 3 friends project.